Animal print fashion items worn in the right way can really add that special something to a plain outfit. Unlike the classic LBD, crisp white shirt or well fitted denim jeans, animal print is not usually considered a wardrobe staple but it really should be! It’s a girl’s secret weapon, just like that stiletto heal or a red lip, adding a touch of glamour and confidence to your look. And, if the runways are any thing to go by, animal print is here to stay. So, how to get it right and not end up looking like Cruella De Vil? Start small – accessories including shoes, bags, scarves and jewellery are a great way to dip your toes in to the trend. For me though, it’s go big or go home. And my Dalmatian print Zara coat is the obvious choice! 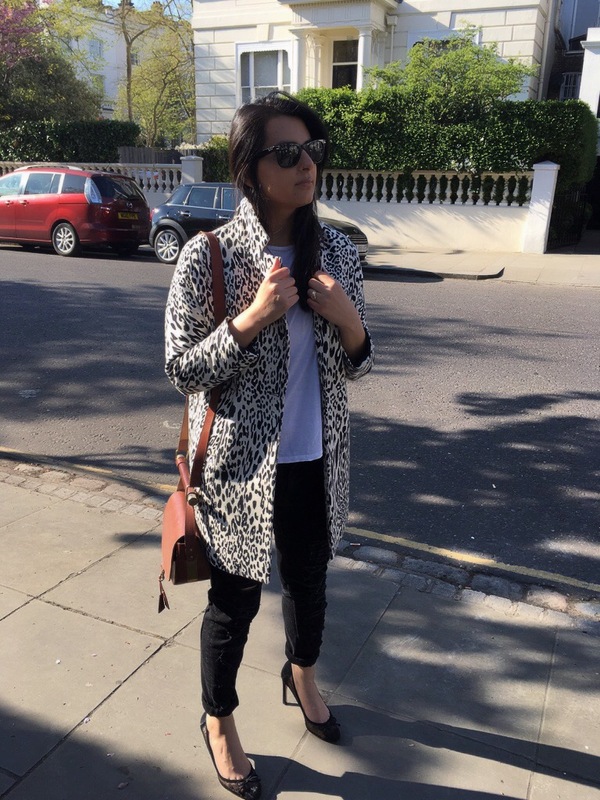 I could be wearing a bin bag or, more realistically, a very simple black or white t-shirt but the second I put this coat on, it’s all chic and effortless – seriously, try it, it works! Although this particular Zara coat isn’t available anymore there are lots of options out there, like this Anthropologie coat that is a bit more subtle. If you want to go bold with your choices, check out this House of Fraser coat or the more affordable ASOS version. How do you style animal print? Would love to hear from you!